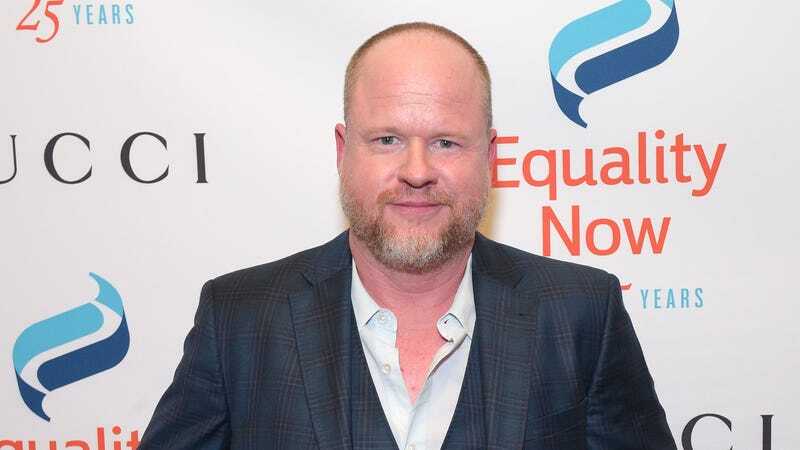 Joss Whedon drops out of Batgirl, admits he "didn't have a story"
According to The Hollywood Reporter, Joss Whedon has dropped out of Warner Bros.’ Batgirl movie, saying he recently realized that he “really didn’t have a story.” He admitted that in a statement, thanking DC and Warner Bros. for being “so understanding” once he realized he had “failed.” Whedon was first attached to the movie last March, but THR’s sources say that he “could not crack the code” of what the Batgirl movie should actually be about. The Hollywood Reporter also suggests that there was some concern about a backlash developing from the fact that a man was directing a female-centric superhero movie like this, especially in the wake of Patty Jenkins’ success with Wonder Woman. Speaking of backlash, Whedon’s once-unassailable star also dimmed a lot in the past year, with his ex-wife publicly declaring him a “hypocrite” for “preaching feminist ideals” while he repeatedly cheated on her. Shortly after that, long-running Joss Whedon fan site Whedonesque shut down, partly because of the revelation that the man they had been celebrating wasn’t the kind of person they thought he was. Whedon also directed the reshoots for Justice League after Zack Snyder dropped out over of his daughter’s death. Despite Whedon’s pedigree, some fans were so disappointed that they convinced themselves there was a conspiracy preventing anyone from watching Snyder’s original cut. The Hollywood Reporter doesn’t say if Batgirl will be handed off to someone else or it it will be scrapped entirely.